MASSIVE news, Mumford and Sons fans! The legendary modern folk group are hitting the road this year with an enormous 60-date world tour supporting their brand new album “Delta”! 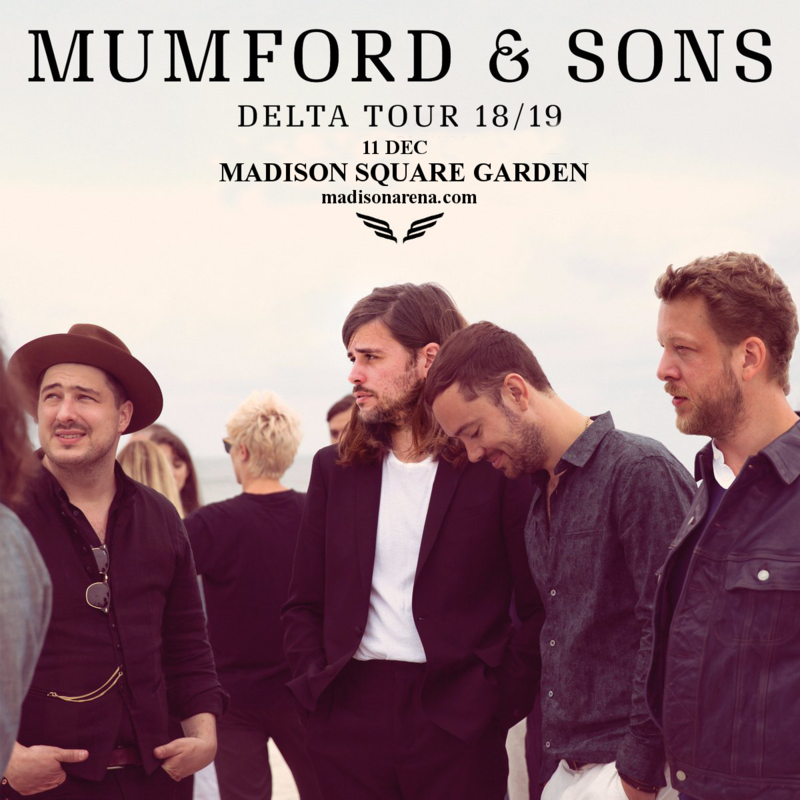 The Madison Square Garden is proud to announce their second New York show on Tuesday 11th December 2018! Book your tickets today, because they won’t be here tomorrow!! They’re not the only ones – fans scrambled to get their hands on the album and have been waiting with baited breath for the tour announcement. And now it’s here – what are you waiting for?? Grab those tickets NOW while they last! !